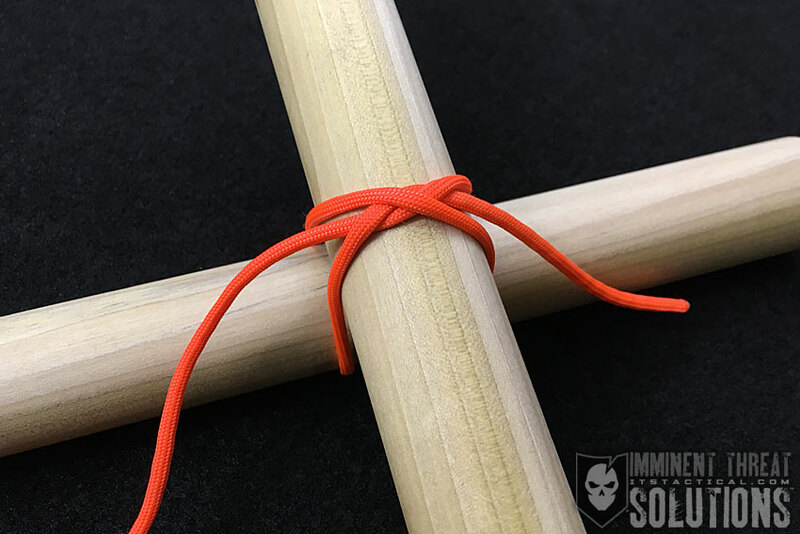 On today’s Knot of the Week I’ll be highlighting the Transom Knot, which is not only a great way to seize objects at right angles to one another, but a great alternative to starting many of the lashings we’ve gone over in the past. It’s similar to the Constrictor Knot, but isn’t as strong or secure. 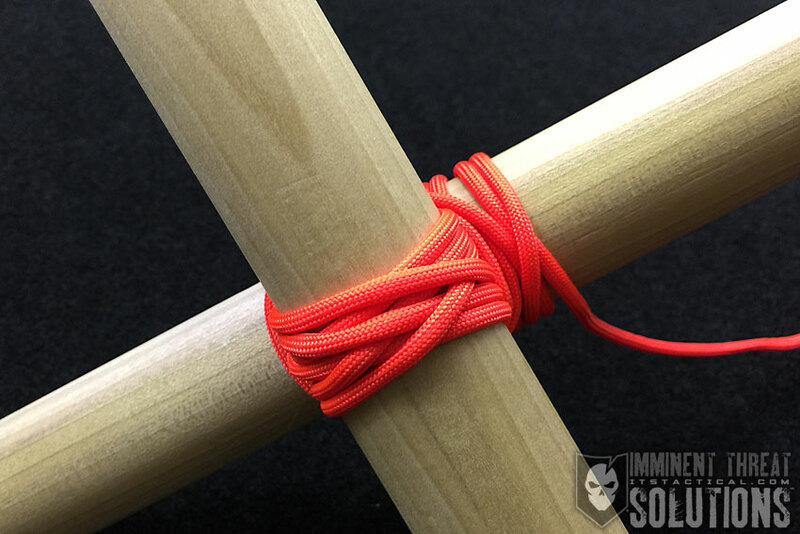 A common issue that I talk about when starting a lashing with a Clove Hitch or a Timber Hitch is that if you’re not using natural fiber rope and rough wooden spars, you can have issues with the cordage gripping. Particularly in the case of dowel rods lashed with paracord, as shown for demonstration purposes here and in other lashings. 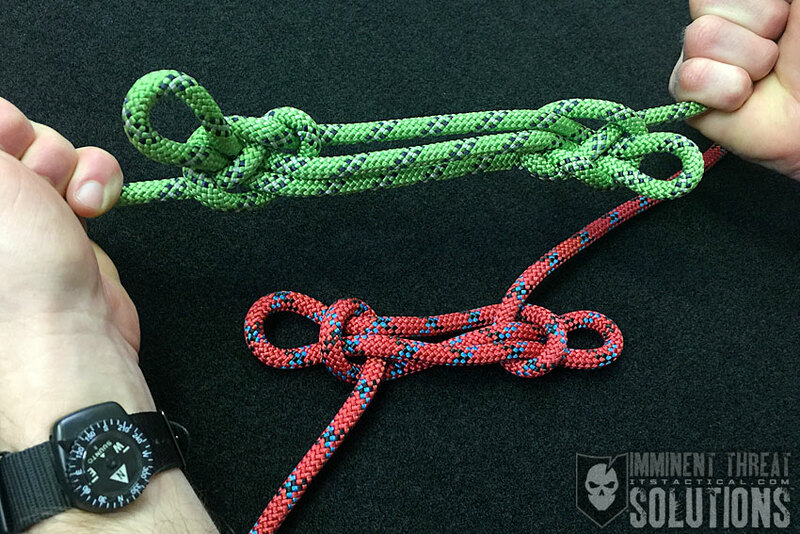 The Transom Knot is a great replacement for the Clove Hitch or Timber Hitch in a lashing and will hopefully answer the question many have asked about this particular subject. Other uses for the Transom Knot include lashing an object to a vehicle roof rack or tying off a creeping vine to a garden trellis. (Strength: 3/Secure: 3/Stability: 3/Difficulty: 3) See below for what these ratings mean.